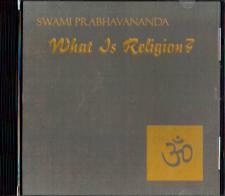 Introduction to Vedanta through Swami Prabhavananda. 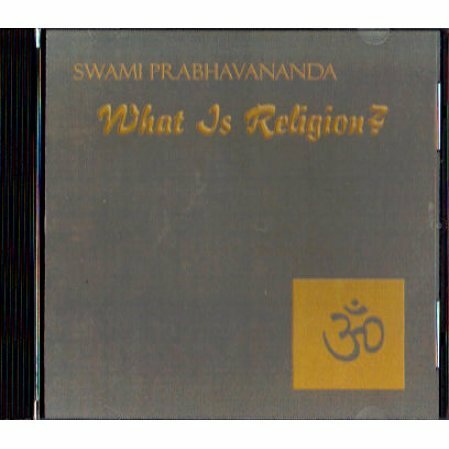 We offer this CD as a good introduction to Vedanta by our most celebrated author, Swami Prabhavananda. The author reads excerpts from his translations of different scriptures. SWAMI PRABHAVANANDA was an ordained monk of the Ramakrishna Order of India and is founder of the Vedanta Society of Southern California. He is well-known for his translations and commentaries on Indian religion and philosophy. With the assistance of Christopher Isherwood and Frederick Manchester, he has made available to Western readers particularly fresh and lucid translations of two preeminent classics of Hinduism: Bhagavad Gita: The Song of God (Prabhavananda) and Upanishads: Breath of the Eternal. He has also written (with Frederick Manchester) a scholarly and comprehensive study of Indian religions, the Spiritual Heritage of India.